Nevertheless as SIGN has grown over the years, we have also taken on the strategic role of providing a focus that unites ministry and marketplace leaders from diverse segment of the Body who are reaching for that “something more” in the Lord that pivots on “understanding the times.” These are people with initiatives they are stewarding that strategic and pertinent to our times. As such SIGN is not a prayer chain. 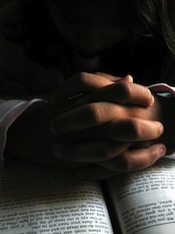 There are other sites that are dedicated to personal prayer for individuals and local groups. SIGN addresses issues that are strategic in nature, that typically are national to global in focus. The intercessory response to these issues pivots on the core to Jesus’ Kingdom message, which is the employment of righteous power in worldly settings; that with God the spiritual dimension carries the source of good for the natural, as we serve as ambassadors of God’s blessings to those around us. The ripples from the mobilization of this focus bear an impact that extends to key segments of the Body around the world. The purpose of the Strategic Intercession Global Network (SIGN) is to create an awareness of and unite members taking action on prophetic, strategic issues impacting the Body on national to global levels. This purpose involves defining and targeting issues that represent the wisdom to responding, first with prayer but also with influence, to the tempo of the times. Our role in short is to provide a strategic perspective from God’s heart for Kingdom strategies and for coordinated, Spirit-led intercessory prayer. SIGN email members consist of individuals, as well as groups (churches, ministries, intercession groups, Kingdom businesses, networks of grassroots community builders). The goal is to provide timely and targeted input and insights that highlight significant issues and trends impacting the Body. Our posts provide biblically-based and a typically big-picture. contemporaneous spiritual perspective. SIGN is very Israel- and marketplace-focused. Why? Because we believe that, along with the persecuted church, they are God’s priorities for these times. SIGN also is prophetically contemporaneous, as we reach for the standard of maturity Paul outlines in Ephesians 4 that combines the full knowledge of the Lord and unity within the Body. Since the mid-1990s we have been at the forefront in defining the marketplace calling of those being referred to as modern-day Josephs and Daniels. SIGN offers members low-volume emailings addressing prophetically-timely, strategic-level issues impacting the Body globally. These are short articles that typically come from SIGN’s director’s and adviser’s prayer closets, that target and define the dynamics of one of these “issues.” Rather than analysis, what is sought is God’s heart and His priorities. SIGN was birthed in early 1996 and is a part of the ministry of Global Initiatives Foundation (www.strategic-initiatives.org). While everyone needs intercessory prayer, it should be re-emphasized that the Strategic Intercession Global Network is not a prayer chain for personal requests. This site, is a support to our Facebook pages. It is designed as a resource for those who are serious about intercession and who are seeking something more in terms of the times, their callings and the strategic responses needed for this hour. You can find instructions on how to join SIGN on the “JOIN SIGN” tab of this web-site.